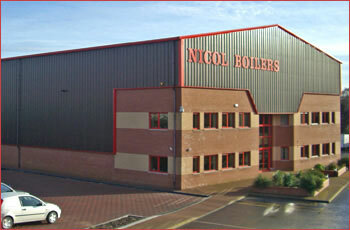 Nicol Boilers is a family-owned and operated business, established in 1985, specialising in industrial and commercial steam and hot water boilers. We have a highly qualified and motivated workforce, operating 24 hours a day, 7 days a week, with all relevant materials and equipment to carry out boiler and burner breakdowns and repairs. We have a large selection of steam and hot water boilers for hire and sale, ranging from 12 kw to 30,000 lbs of steam per hour. If after browsing the website you wish to discuss your individual needs, we welcome any enquiries, however large or small.